Additionally, an exhibition of the semifinalists’ work will be featured in a large exhibition during Artscape (July 19-21, 2019). The fellowship winner will be selected from the Walters Art Museum exhibition after review of the installed art and an interview with each finalist by the jurors. Artist collaborators, if chosen as the winner, will receive a single $25,000 prize that will be equally divided among the members of the group. The Janet & Walter Sondheim Artscape Prize is named in honor of Janet and Walter Sondheim who were instrumental in creating the Baltimore City that exists today. Walter Sondheim, Jr. had been one of Baltimore’s most important civic leaders for over 50 years. His accomplishments included oversight of the desegregation of the Baltimore City Public Schools in 1954 when he was president of the Board of School Commissioners of Baltimore City. Later, he was deeply involved in the development of Charles Center and the Inner Harbor. He continued to be active in civic and educational activities in the city and state and served as the senior advisor to the Greater Baltimore Committee until his death in February 2007. Regine Basha has been curating innovative exhibitions for public institutions, civic spaces, magazines and private galleries nationally and internationally since 1993. With an exploratory approach to exhibition design, production and reception, Basha works closely with artists to create specific contexts in which to encounter the work. Basha was born in Israel to Iraqi parents, grew up in Montreal and Los Angeles, attended New York University and Concordia University in Montreal, and graduated in the inaugural class of 1996 of the Center for Curatorial Studies, Bard College in Annandale-On-Hudson, NY. Her exhibitions have received grant awards from The Andy Warhol Foundation, the Elizabeth Firestone Graham Foundation and the National Endowment for the Arts, as well as critical press in The New York Times, Artforum, Modern Painters, Art Papers, Wire, Bidoun, Art Lies, Artforum and NPR Radio. She currently sits on the board of Art Matters and she is the Residency Advisor to Pioneer Works Residency. More info on bashaprojects.com. William Powhida is an artist and critic based in New York City. He studied painting at Syracuse University where he received a BFA with honors, and received an MFA from Hunter College. He has exhibited internationally in New York, Los Angeles, Seattle, London, Madrid, Miami, Chicago, Copenhagen, Austria, Dublin and even the Canary Islands. His recent shows include Unretrospective at Platform Gallery, Overculture at Postmasters Gallery, and Bill by Bill at Charlie James Gallery. Powhida’s work has been discussed in The New York Times, Artforum, Art in America, The Brooklyn Rail, Art News, Artinfo, Artnet, Hyperallergic, Art Fag City, among others. He has had residencies at the Lower East Side Printshop, the John Michael Kohler Arts Center, the Headlands Center for the Arts, and Casa Maauad in Mexico City. Currently, Powhida is represented in New York by Postmasters Gallery, in Seattle by Platform Gallery, in Los Angeles by Charlie James Gallery, and in Copenhagen by Gallery Poulsen. His work is in the collections of the Whitney Museum and the Orange County Museum of Art. 1st Review –Jurors will review applicants’ submissions independent of each other. They will complete score sheets that will be tabulated to select approximately 30 to 40 semifinalists. Submissions will consist of five (5) digital images of work or up to ten (10) minutes of time based work and a resume. All of the submitted work for the first round of review will also be provided to area galleries and their curators who will be participating in the Artscape Gallery Network exhibitions. 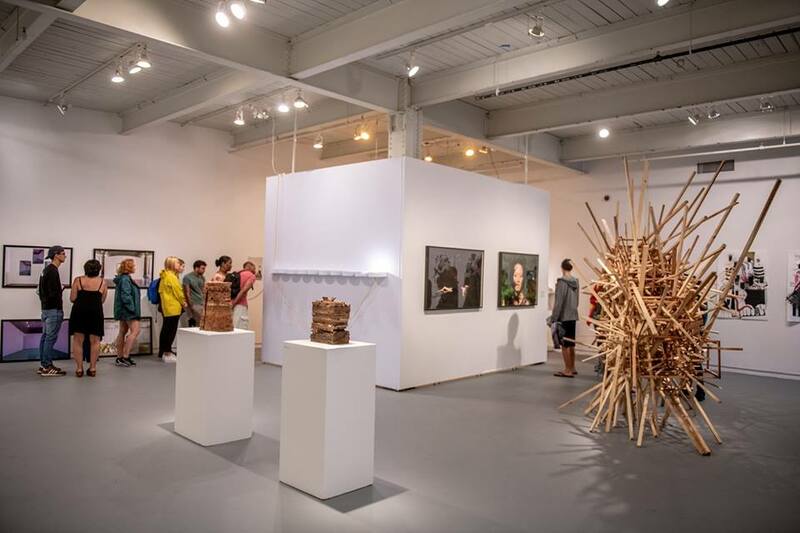 If these galleries choose an artist for their exhibitions occurring concurrently with Artscape 2019, artists will be contacted directly by those galleries. 2nd Review – Semifinalists will be asked to submit an expanded submission including up to 30 images or time based works and a description of how they will use the fellowship if they are selected. The jurors will convene to choose approximately five or six finalists for the exhibition and final review. Each finalist will meet with the Walters Art Museum curators to determine installation requirements. Finalists will work collaboratively with the Walters curators to determine which artwork is to be included in the finalist exhibition; however, please keep in mind that the final decision on what is exhibited and the decision regarding the feasibility of installation requirements is the responsibility of the Walters curators. Works by the remaining semifinalists will be selected by BOPA curator Lou Joseph for a separate exhibition during the Artscape weekend. Final Review – The finalists will have their work exhibited in the Walters Art Museum. The exhibit design and artwork placement within these galleries is at the sole discretion of the Walters curators and exhibition staff. On Saturday, July 13, 2019, the jurors will meet with each artist for up to 30 minutes in their exhibition space for a final interview. After all of the interviews, the jurors will meet and decide the fellowship award winner. The award will be announced later that evening at the award reception. Artists may submit five (5) images of artwork for the first round of jury review. Images should be in jpeg format, and be not larger than approximately 3MB. Artists submitting time based works may submit up to ten (10) minutes of work. The 10 minutes may include excerpts from up to five (5) works as long as the combined time totals no more than 10 minutes. Artists wishing to submit still and time based works, for every still image subtract two (2) minutes from the allowed 10 minute time based total. Videos should be in .mov or .mp4 format. Please contact Lou Joseph at 443-263-4339 or ljoseph@promotionandarts.org with questions regarding the submission of sound based works. Artists living and working in Maryland; Washington, DC; Arlington, Fairfax, Loudoun and Prince William counties and the city of Alexandria in Virginia; and Adams, Chester, Franklin, Lancaster and York counties in Pennsylvania are eligible to submit for this award. Artists who apply as individuals must submit original artwork that is principally created by them. It is understood that sometimes individual artists may employ the work of another artist to complete a larger scale project. For example, an artist who works in video may choose to include sound in the video that is composed by another artist. In such cases, the individual artist applying to the Sondheim Prize must be the primary creator of the work, they must disclose any assistance received on artwork submitted for consideration and they must obtain permission from the contributor to submit the work for consideration. Failure to disclose this support will disqualify application, and the artist will be required to return any prize monies awarded. Upon www.submittable.com’s receipt of application materials, artists will be sent an automatic email confirmation. If an artist does not receive this confirmation within 48 hours, please contact Lou Joseph at ljoseph@promotionandarts.org. Semifinalists will be required to submit a description of how they will use the fellowship if they are selected. Artists’ work included in the Semifinalist Exhibition will be insured during the exhibition duration by BOPA; artists’ work included in the Finalists exhibition at the Walters will be insured by that organization while the artwork is on the premises of the Walters. Winners of the Sondheim Prize will be required to file a final report by June 30, 2019, before the final payment. This report should include an explanation of how winning this prize has enabled the artist or artist collaborative group to further develop their work, as well as an explanation of any additional opportunities that may have arisen as a result of winning this prize. All Sondheim applications will be shared with the curator of the Artscape Visual Arts Exhibitions. Artscape and BOPA reserve the right to reproduce images of applicants’ work for printed or internet publicity, catalogue or marketing purposes. The Walters Art Museum also will have the right to reproduce work relating to the 2019 Sondheim Prize. Finalists will be required to meet with Walters Art Museum curators to finalize their installation needs; these needs must meet the exhibition guidelines set forth by the Walters Art Museum. If required by the installation of the artwork or its intended interaction with the public, the Walters may choose to issue waivers of liability to be signed by the artist. Otherwise, the Walters will insure the artwork while in its possession. Artists chosen as finalists will be required to take primary responsibility for installing and deinstalling their work at the Walters Art Museum. Artists must be present on the Walters premises for the installation and deinstallation of their work, which will occur Monday through Friday, between the hours of 9am and 4pm. If artists cannot personally be present for installation, their work will not be exhibited. While artists may bring assistants to help them with installation, they cannot serve as substitutes for the artists. Artists chosen as finalists must provide a complete list of materials used in artworks at the time of the initial site visit by Walters Art Museum curators and staff. Artists’ materials will be reviewed by the Walter’s Conservation Department. Artists will additionally accommodate requests by Conservation team members to inspect work in person. Any material (including but not limited to salvaged lumber, food stuffs, other unstable organic materials, objects that off-gas fumes, and objects stored outdoors) that may introduce insects or present a risk to the Museum’s environment and collection will not be permitted inside of the Museum. It is the responsibility of each artist to suggest alternative works suitable for exhibition to the Walters Art Museum curators. If no acceptable alternatives are identified, the artist’s work will not be included in the exhibition, but may be represented by photographic or video documentation to be provided by the artist. Finalists are strongly encouraged to attend the press preview for the Finalist exhibition, tentatively scheduled for Wednesday, June 19, 2019. Finalists may be required to make presentations at the Walters at some time during the duration of the exhibition, including during the awards ceremony. Photography by the general public will be allowed in the Finalist Exhibition at the Walters and in the Semifinalist Exhibition. Previous winners of the Sondheim Prize are not eligible to apply. Previous finalists and semifinalists may apply. BOPA and BFAI Board members, employees and/or relatives (defined as children, spouse, domestic partner or parents) are not eligible to apply for the Janet & Walter Sondheim Artscape Prize.